Well, I had a box of very sweet fresh cherries and a big tub of Vanilla ice cream in fridge lying idle. My son likes sour cherries and daughter feels she gets red tongue after having those cherries. I was thinking about what to do with cherries and vanilla ice cream. It was almost like two good friends sitting apart in the same bench. So I thought of patching up both of them and by giving it a little twist,made ice cream sticks for kids. 1- First grind well cherries with sugar and curd. 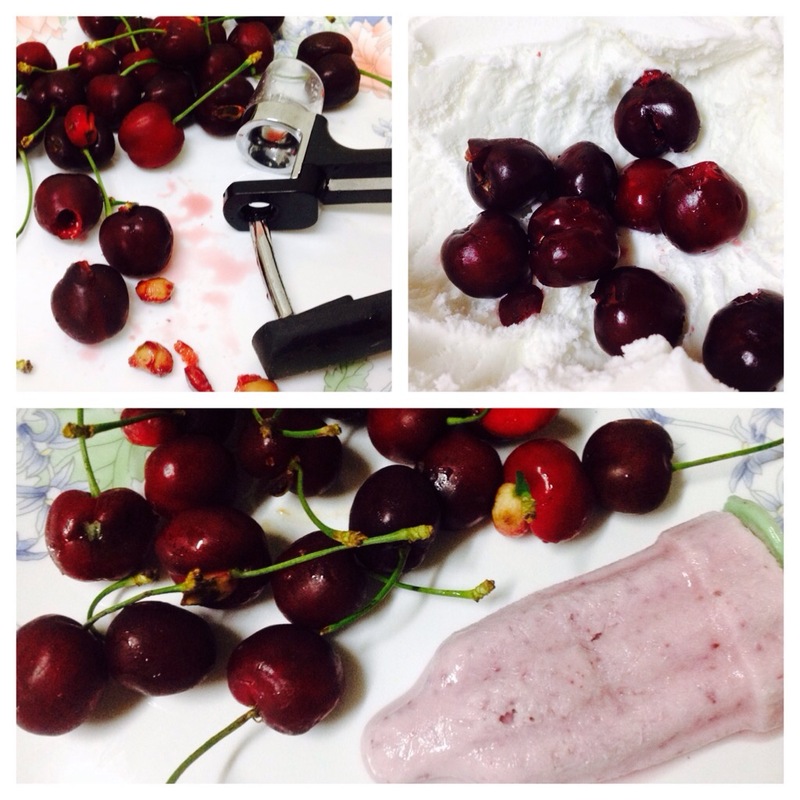 2- Now add vanilla ice cream to this cherries- curd paste. 4- Now pour into the lolly moulds and freeze. Caution – May be because of ice cream it turns out to be very soft to take out that time insert a long n thin knife to help from sides.